Whether it’s working out five times a week or eating a full serving of fruits and veggies every day, most of us strive to live an overall healthy life. Although exercise and nutrition are two major factors in sustaining your well-being, there are other ways to promote a healthy lifestyle. Enter oils and herbs – from soothing joint pain and improving circulation to calming nerves and stress, herbs and oils provide surprising benefits and are easier to incorporate into your daily life than you would think. 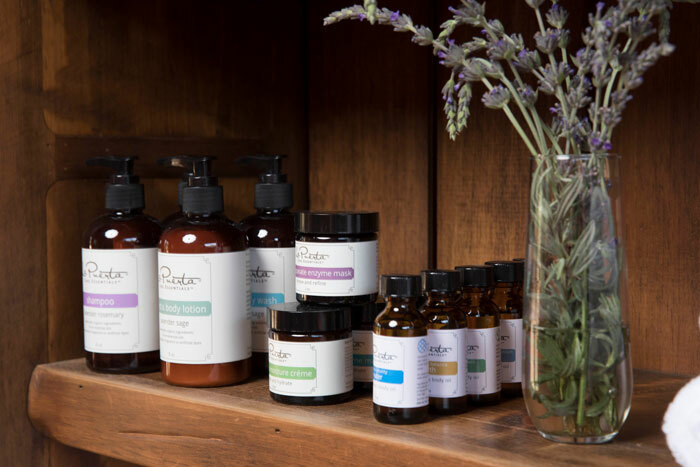 Here are three easy ways to incorporate herbs and oils into your routine, according to Tere Ochoa, the spa director at Rancho La Puerta. With more and more herb and oil-infused products entering the market, using oils and herbs is as easy as taking a daily shower. Ochoa suggests using lavender-infused products like the La Puerta Core Essentials Lavender Rosemary Shampoo and Conditioner because “lavender is known as a balancer. It can help with stress relief and be calming to the nervous system,” says Ochoa. Self-care is an essential but sometimes overlooked part of living healthy, and adding herbs and oils to your usual at-home treatments is a small change that can make a big difference. The easiest way to reap the benefits of essential oils is by adding it to your weekly relaxing bath. Ochoa suggests using the Core Essentials Botanical Salts and the Botanical Body Oil. “The salts help to re-mineralize the tissues and soothe muscle tension and the oils nourish the skin while providing a beautiful aromatherapy experience,” she says. Instead of feeling sore and fatigued after a tough workout, apply essential oils as part of your post-workout ritual. According to Ochoa, eucalyptus helps warm muscles and soothe joint stiffness, which is partially why it’s used in steam rooms. Just dab a few drops of the oil onto your most tender spots to relieve any muscle tension.